I am, since 2013, a Senior Lecturer in Cognitive Neuroscience at the Department of Cognitive Neuroscience and Philosophy – part of the School of Bioscience – at the University of Skövde. Apart from teaching various courses in both cognitive neuroscience and philosophy, I am program coordinator for our one-year MSc in cognitive neuroscience (first launched fall 2011), course coordinator for all Bachelor and Master level final theses in cognitive neuroscience, and lab coordinator for the department’s electrophysiology lab. My primary research interests at the moment are all about method, in particular in relation to my two topics of focus: biological psychology/cognitive neuroscience, and philosophy/ethics. In relation to the former, I am thrilled by the detailed handicraft that goes into a solid empirical finding (all the factors to control for! ), and am putting this fascination to work in our departmental EEG/ERP lab. Among other things, we are currently looking at topics like error awareness, the processing of emotionally salient faces, and a little bit of frontal alpha asymmetry. In relation to the latter (i.e. philosophy), I am very keen on philosophical method (metaphilosophy, or the philosophy of philosophy! ), in particular its application within ethical discussions and arguments. More specifically, I am excited about all the research indicating how flawed large parts of human reasoning processes really are, and the extent to which this can be thought to impact on philosophical argumentation and the conclusions we are able to draw from it. What is the goal with all these method interests? If anything, I would like to contribute to the improvement of (at least a tiny portion of) the scientific enterprise, writ large. There is too much nonsense being published in all sorts of subjects these days, and increased knowledge of and command over method is – by and large – one of the best ways to try to constrain and prevent this. My aim is to help move things a little in the right direction. Before coming to Skövde, I wrote a PhD at Swansea University (generously supported by a full scholarship bursary from the university), under Prof Mike McNamee and Mr Richard Griffith. The thesis – which focused on ethico-legal aspects of anti-doping practices in elite sports, the privacy of elite athletes and WADA‘s controversial whereabouts requirements – was accepted without changes (save correction of some minor typos) by my examiners, Prof Søren Holm and Dr Andrew Bloodworth. Prior to Swansea, I spent two years as a Master’s student at St Cross College at Oxford University (generously supported by a scholarship from the Roy Jenkins Memorial Scholarship Fund), earning a BPhil in philosophy. 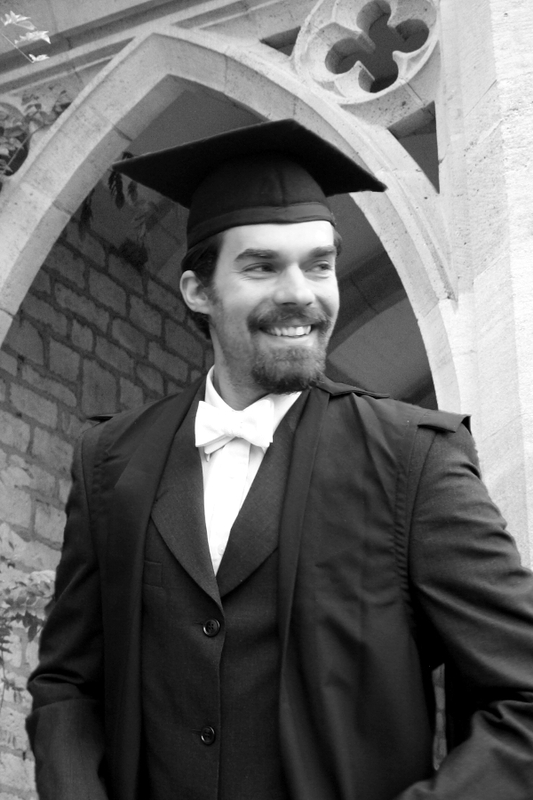 Apart from coursework in political philosophy and philosophy of law, metaphysics, and the history of logic, I completed a thesis in applied ethics, supervised by Prof Julian Savulescu and Prof Roger Crisp, which dealt with the impact of moral intuitions on people’s thinking about their potential obligations to aid the world’s poor. Before that, I was myself a student in Skövde, at the department’s undergraduate Consciousness Studies program, which I completed in only two years, instead of the prescribed full-time three, with the highest possible grade in every course. When I’m not at work, I enjoy life as the father of two lovely and boisterous daughters.